Nowadays hotspot device is frequent searchable devices. Most of Smartphone and tablets user find the hotspot device from the online marketplace. A few famous hotspot device manufacturing company produce like as a product. 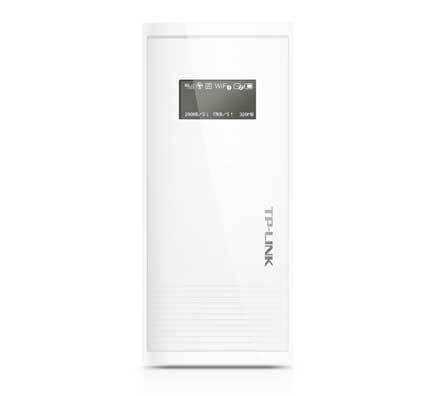 Recently the tp-link (world famous) released the 3G Mobile Wi-Fi with power bank device. This is a really cool device because the 3G Mobile Wi-Fi device has many good futures with advanced Power bank technology. So anyone can use hotspot internet from the device and use the battery backup for their Smartphone and tablets. Sometimes we face smartphone or tablets charging problem when we travel. The traveling time needs to send mail, use social blog site like as Facebook, twitter, Pinterest ETC for time passing. But most of the time we face the battery life problem on our smartphone or tablets device. As a time we need the battery backup like as “Power bank” and we know that; hotspot internet is better than smartphone internet. So, if we brought the 3G Mobile Wi-Fi, we can get the power back free. Here I already find like a power bank with 3G Mobile Wi-Fi device. I will provide you the good future of the device below. Equipped with a built in 3G modem. 5200mAh Power bank to charge smartphone or tablets. The 5200mAh is really powerful battery backup. So, anyone can get charge their smartphone up to long time. For get information about the device there has OLED display. User able to get extra knowledge from the display. The hotspot device supports up to 10 user for using Wi-Fi internet. Micro SD card slot that support up to 32GB external MMC card for backup data. USB 2.0 Port for charging Smartphone or tablets. After all if you are interesting to buy the product you can buy from any online e-shop. There have also option for buy the product from Tp-link. To know more about the device you can write qustion on my comment box below. If you have any suggestion about the device please write me via comment below.